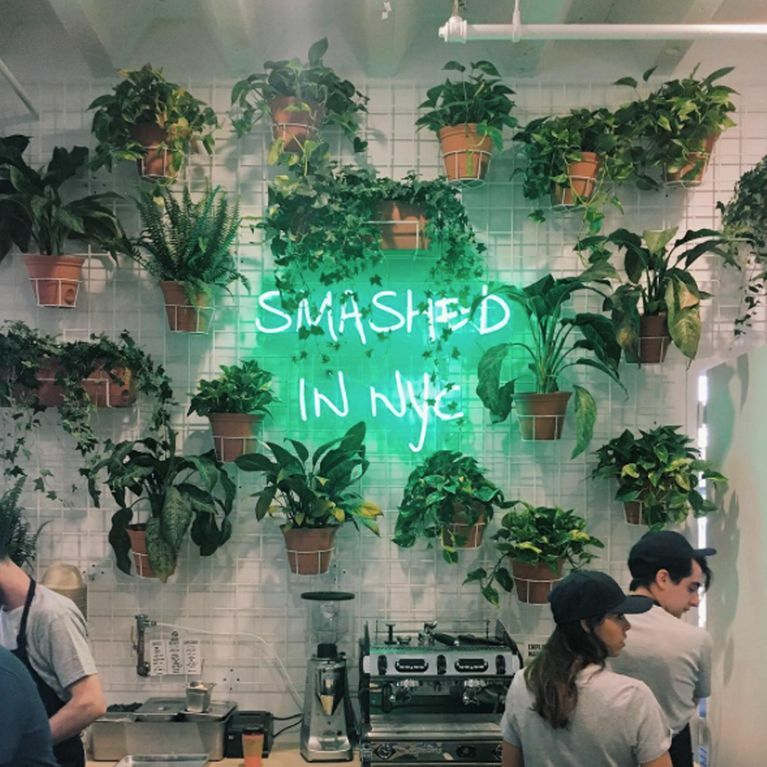 First came the world's first avocado restaurant in the form of the highly-hyped Avocado Show in Amsterdam, Netherlands, but our American neighbours have upped the ante by opening a bar dedicated to the most Instagrammed food stuff. Avocaderia in Brooklyn, New York, looks and sounds like every avocionado's dream and we want to avo-go. If you've never had good reason to visit New York, the fact its now home to the word's inaugural avocado bar may convince you otherwise. Foodie trio Francesco Brachetti, Alberto Gramini and Alessandro Biggi have answered the prayers of American avocionados by opening a bar dedicated to social-media's most-loved fruit. The Avocaderia in Brooklyn, NYC, is open for brunching and much more and you're going to want to book a one-way ticket if its social-media sneak-peeks are anything to go by. Avocaderia looks as magical as you'd expect, boasting a menu which includes genius and 100% Instagram-proof #avotoast combinations with the 'Let It Beet' variety already a favourite among diners. The dish is made up of toasted sourdough bread, beetroot hummus, a healthy amount of sliced avocado (of course), watermelon radish, spiced seeds and Argula. All for a very reasonable $8.45 which is around £6.75. If you think that's a pretty penny to pay for avo-loaded bread, the fact they only use organic fruits may make the price easier to swallow. What's more, the staff are somewhat avo artists and you can't put a price on how many likes your avo rose gets, can you? The menu also features three salads and two varieties of nachos and guac with the baked pitta chips proving very popular since the café opened its doors to hungry, Instagram-keen customers just two days ago. Founder Francesco said of the trio's decision to open the world's first avocado bar: "We wanted to create an avo-culutre around us," he told Refinery29.